“I got burned on trust. I trusted them and thought they trusted me, but they used me. Sometimes I hate trust. It hurts when I put myself out there and they take me for granted.” These are all thoughts I have had in the last few months. Leaders will see expanded influence and increased morale. Managers will see greater productivity and increased commitments from teams. Salespeople will see increased engagement and results. Service experts will see enthusiastic recommendations and loyal customers. Parents will see more peace and freedom at home. Teachers will see more respect, impact and classroom control. I need to be a trusted person. To be a trusted person I need to be transparent. This is a quality I learned from my Dad. He could be transparent even if it might put him at a disadvantage. He would admit to mistakes. He would show his errors, but then he would also show how to fix them. He would take responsibility for what he did wrong and then give credit to others when things went right. Trust will give you an advantage that will cause you to grow and your organization to grow more than you ever expected. It is important to be transparent in trust. Defend what you must defend. Correct what you must correct. But look in the mirror before you do it. Rich was born in Ecuador to missionary parents (Milton and Patricia Brown). He graduated from the Alliance Academy, where he met his wife Elisa Shannon (daughter of missionaries from Argentina, Jack and Jean Shannon). Both graduated from Toccoa Falls College. Rich graduated with a degree in Missiology. Rich and Elisa were married in 1990, and less than a year later, moved to Raleigh, North Carolina, where Rich served as youth pastor at North Ridge Church for almost four years. During that time, he finished the ordination process with the Christian and Missionary Alliance and graduated with a Masters Degree from Wheaton Graduate School in Biblical and Theological Studies. In 1995, Rich and Elisa moved to Peru, where they served for ten years as youth pastor missionaries in four different churches in Lima and Trujillo. 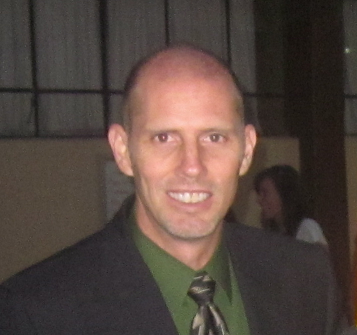 Rich also taught in the Bible Seminary in Lima and Trujillo. He was the Executive director of the Seminary in Trujillo for one year. He taught World Views, Evangelism, The Book of Hebrews, and Missions, among other courses. In 2005, Rich and Elisa became regional youth missionaries in Ecuador, Peru, and Colombia. In 2006, they started Inca Link and that organization is now serving in four countries (Ecuador, Peru, Colombia, and the United States). Rich´s calling is to reach the 300 million youth in Latin America with Christ´s irresistible love. Rich and Elisa have four children who have been intimately involved in the Browns’ ministry: Olivia, Michaela, Josiah & Alexa. Leadership Styles Part II: Settler or Pioneer?